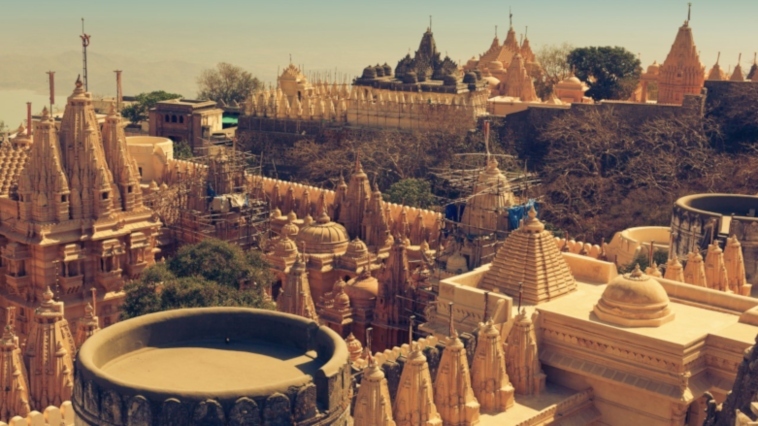 Palitana, in Gujarat, India, has been dubbed as the World's first 'Vegetarian City' after its government banned animal slaughter back in 2014. The ban follows protests from around 200 Jain monks - who all went on hunger strike to show they'd prefer [their own] death over allowing the continued slaughter and consumption of animals in the area. It is reported that there are around four to five million people in India who follow the Jainism religion and are directly opposed to animal cruelty. Jainism, traditionally known as Jain Dharma, believe that animals and plants, as well as human beings, contain living souls. Therefore, Jain's follow a strictly vegetarian diet. "Each of these souls is considered of equal value and should be treated with respect and compassion. The essence of Jainism is concern for the welfare of every being in the universe and for the health of the universe itself," BBC's website states. According to Mercy For Animals, Virat Sagar Maharaj, a practicing Jain monk, said: "Everyone in this world - whether animal or human being or a very small creature - has all been given the right to live by God." The city isn't however vegan, with the consumption of cow's milk still legal.